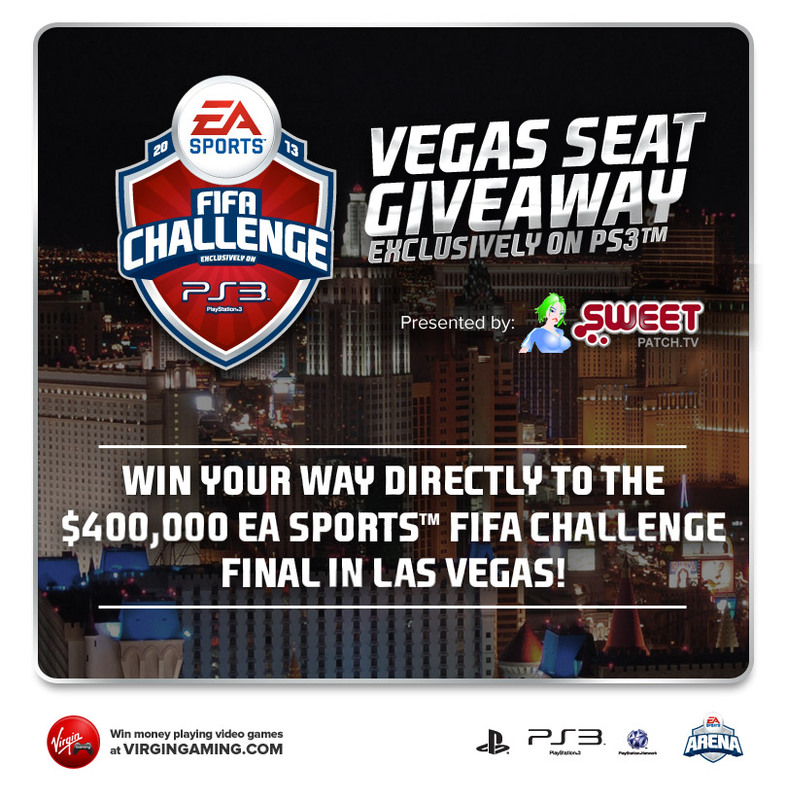 We know this is very short notice for you, but we are delighted to offer you this additional opportunity to win a seat at the $400,000 FIFA Challenge Final. 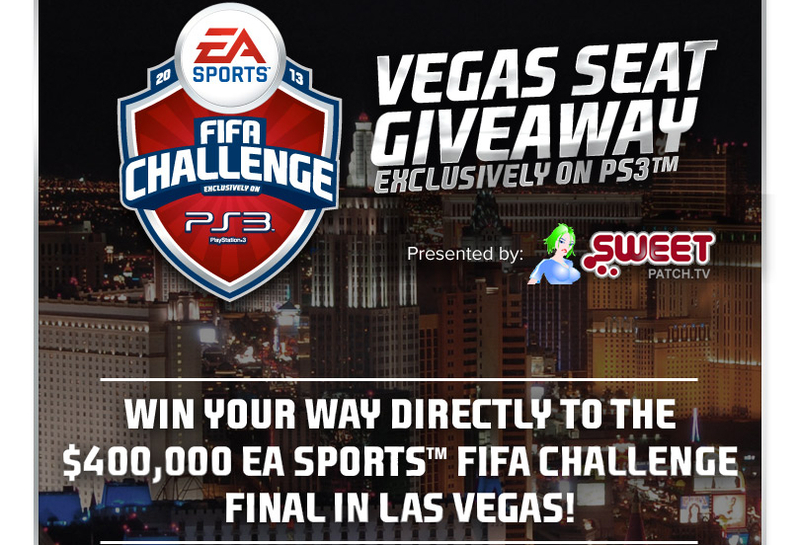 We have teamed up with our partners at Virgin Gaming to offer you one last chance to win a seat at the $400,000 Virgin Gaming FIFA Challenge Grand Final in Las Vegas on February 9th, courtesy of Sony. A new two-round FIFA 13 tournament on Virgin Gaming, brought to you by Sweetpatch TV, will be live and ready to enter on Saturday 12th January at about 14:00 UK time! And this is your LAST chance to be there! A new two-round FIFA 13 tournament on Virgin Gaming, brought to you by Sweetpatch TV, will be live and ready to enter Saturday afternoon (14:00 UK time)! Updated: The first 16 people to win round 2 of this play and go tournament will be placed into a bracketed final on 19th January. 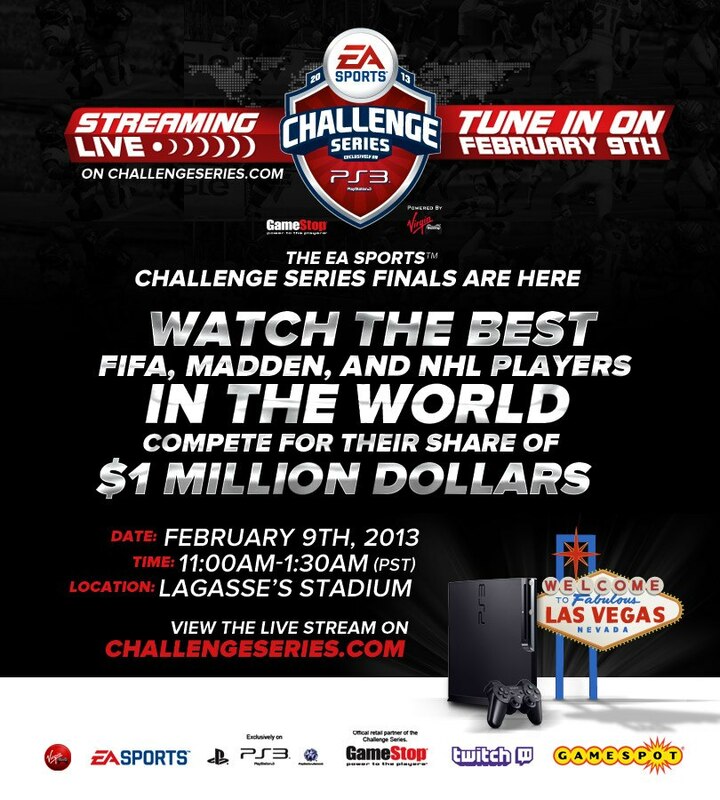 The winner of the final will receive a seat at the $400,000 FIFA Challenge Final in Las Vegas on 9th February! 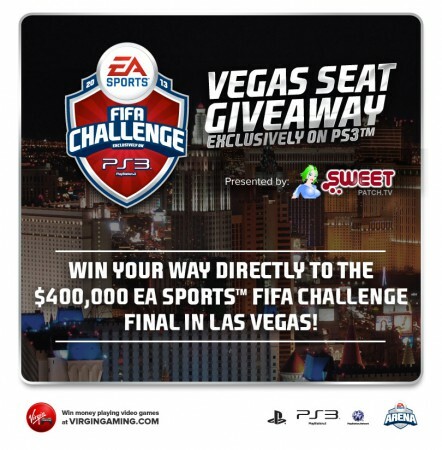 Tournament win guarantees a seat at the FIFA Challenge final and a minimum $500 for participation at the event. Travel and accommodation are not provided. Players must be ages 18 years or over. Terms and restrictions apply – read the information provided before entering. This is a huge opportunity and good luck to all who enter. If you haven’t signed up to Virgin Gaming yet you can do so for FREE by clicking this link in advance of kick off.